It should come as no surprise that Abu Dhabi, and Dubai, are geared up to keep families happy. Especially because in summer the temperatures can soar to 50degrees (and no mamma needs that added pressure). 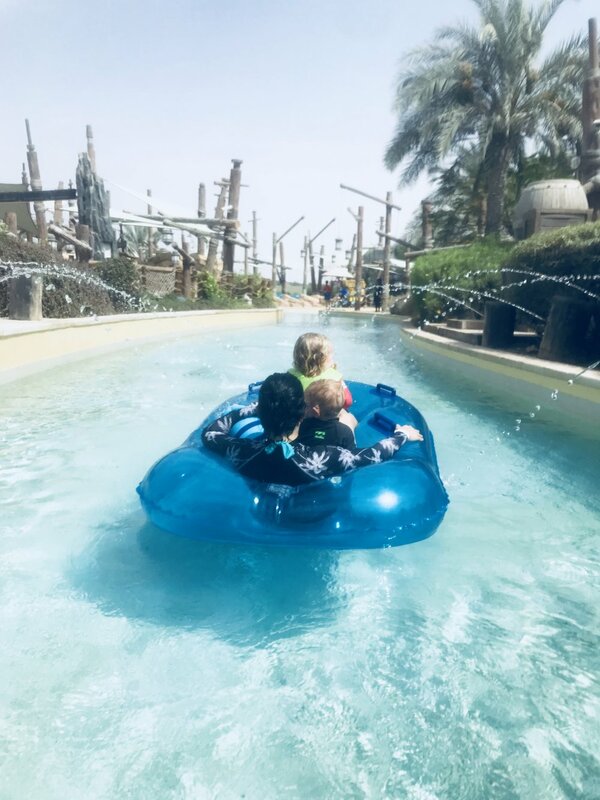 But, no matter how long you stay in the United Arab Emirates, you will barely scratch the surface of what to do with kids, there is simply that much on offer. And just when you think you've done it all, they surprise you with yet another amazing theme park, or the like. Indoor play is usually where it's at. Almost every single mall will have an area designed only for the little ones, and some , like Yas Mall, go one step further and bring you Ferrari World. 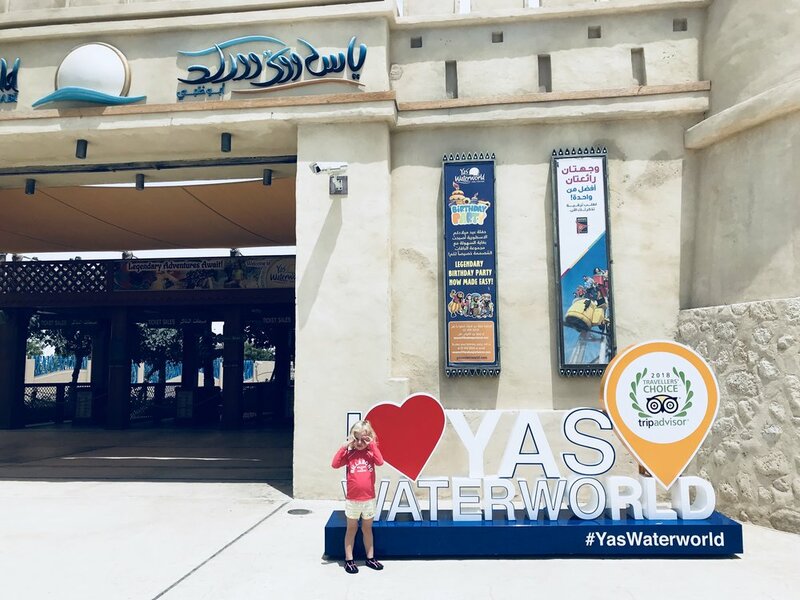 "driving through the streets of Italy"
While we are at Yas Mall, Fun Works is yet another source of great entertainment; I guarantee it will keep the kids happy for hours. My little ones, (aged 3 and 1) loved Whizz Kids, which is a huge soft play jungle gym. Even I had a go with my inner child and let me tell you, not even she wanted to leave! Massive slides, ball pits and more. My Works, a division of Fun Works, consists of 10 hands-on areas including bake works, car works, energy works, build works, art works and recycle works. 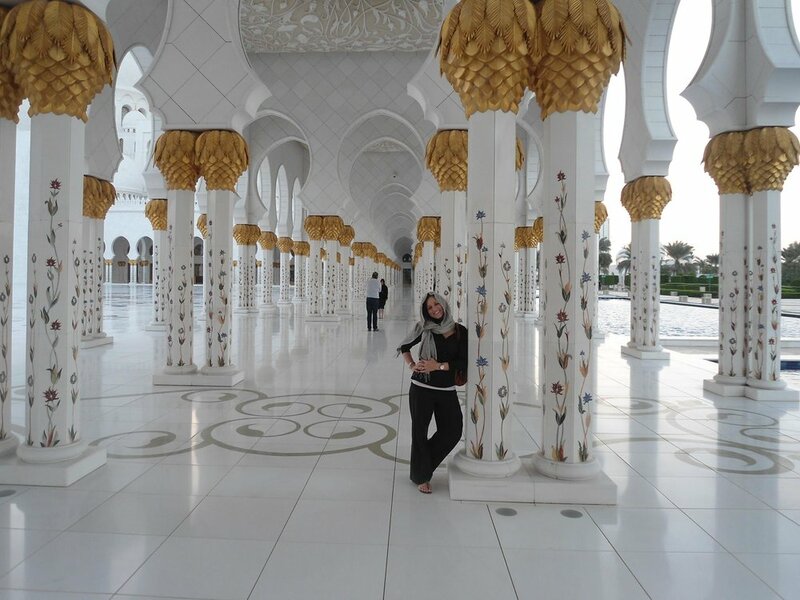 Moving away from the intense entertainment, go for something more cultural, such as the Sheikh Zayed Grand Mosque. This structural wonder will leave you in awe. There are of course certain rules to abide by when visiting the mosque, such a dress codes, but do not let this deter you. The guided tours will explain in detail the muslim culture, why prayers happen at certain times and beliefs. I found it incredibly interesting and recommend doing this when visiting Abu Dhabi. Kindly note that The Sheikh Zayed Grand Mosque is closed for tourism activities (and open for worship) on Friday mornings, and reopens after 4:30 p.m. for visitors. *(Last admission at 09:30 pm in all days ). With a kids corner kitted out with pretty much all that a kid needs to be entertained (books, games, tables and bean bags) while moms devours her delicious food, Jim's is now perhaps my spot when visiting the Emirate. They have great coffee, amazing, hearty food and yummy cakes and even a section where different "arts and crafts" are sold. Jim's Kitchen Table is just a definite YES! So, Summer in Abu Dhabi is a scorcher, but there is so much to keep you busy, you may even wonder what the fuss is about!